This sort of thing ... ? 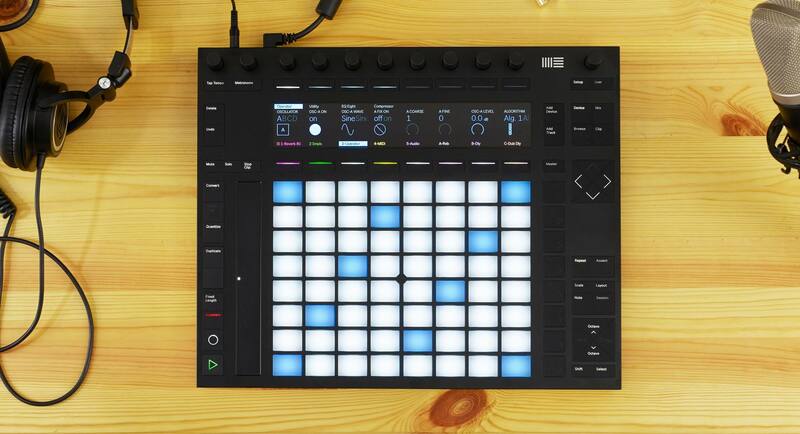 Yeah, you're pretty much talking about Ableton Push. Check it out, amazing tool. Buy an iPad and create your control surface with TouchOSC. You can create exactly what you designed above and maybe some variations on it too.